Specialists, family practitioners, and even certified nurse specialists who provide services to Medicare patients with chronic conditions have become overwhelmed by the exploding number of patients requiring care. According to the Centers for Disease Control and Prevention, more than 130 million Americans suffer from a chronic condition. Today, it’s estimated that more than two-thirds of Medicare patients suffer from two or more chronic conditions and 85% of Federal health care funds are spent on these treatments. As the population continues to age, the burden on the health care system is only expected to worsen. This is one of the primary reasons that some measure of relief was provided to Medicare health care providers beginning January 2015 in the form of chronic care management (CCM) services. Chronic Care Management services are available to Medicare patients who have more than one chronic condition and whose conditions are expected to last a year or longer. The chronic conditions must be acute, and either places the patient in a state of functional decline or have the patient at risk of death. Just a few of the conditions that may be eligible for CCM services include cancer, Alzheimer’s disease, diabetes, hypertension, heart failure, chronic obstructive pulmonary disease (COPD), and asthma. 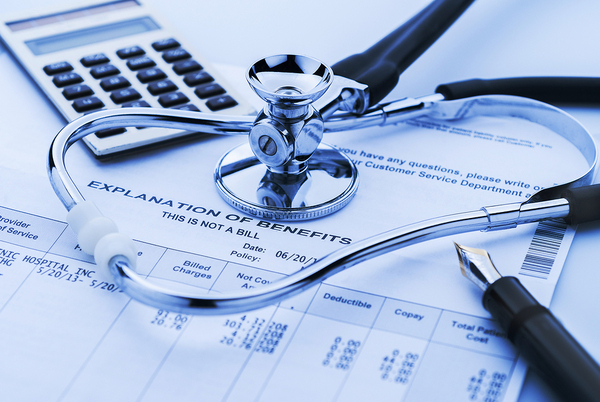 To provide and bill for CCM services, a provider must create a comprehensive care plan that is continually monitored and revised. Providing Chronic Care Management is an increasing challenge for medical practices for several reasons. Time is the biggest constraint. In order to provide these services to every patient that need them, it’s been estimated that physicians would need to increase their patient care three-fold. In addition to this, the requirements for providers of CCM services are quite stringent. In fact, the Centers for Medicare and Medicaid Services (CMS) outlines provider requirements in an eleven-page document that includes 24/7 availability, monthly updates, twenty-minute patient visits, and detailed electronic records. While the benefits to the patient are enormous, it’s become clear to many practices that there is a much more efficient way to provide this elevated level of patient care. Outsourcing CCM services can have a positive impact on practice revenue. On the surface, it may not seem that sending services outside of the practice would boost revenue, but studies have shown that this is precisely the case with CCM services. The Annals of Internal Medicine took a close look at whether or not practices saved money or profited by keeping chronic care management services in-house. Data compared revenue earned by different healthcare professionals including physicians, nurses, and certified medical assistants. The findings concluded that the costs for additional personnel, equipment, and other overhead associated with providing these services far outweighed the revenue. In fact, if the providers better used that time and resources for more face-to-face visits with patients, revenue would significantly increase. ProfitableMD understands that providing the highest level of care to each patient is a priority. Our CCM services are an extension of your practice and patient care team. We provide all chronic care management services in strict adherence to CMS guidelines and free up your resources for more face-to-face patient visits and increased revenue dollars. Contact us to learn more about our services or go here to calculate your revenue potential.